For decades, Interstate 5 in Seattle--an elevated freeway, built in 1962, that divides Eastlake and Capitol Hill--was a source of isolation, noise pollution, and frustration for its neighboring communities. For many years, the stretch of shadowy, secluded land beneath I-5 has been unused and in disrepair. Today, it is a whole new world under the freeway, an area that has been reclaimed as public space and an important asset for adjacent neighborhoods. 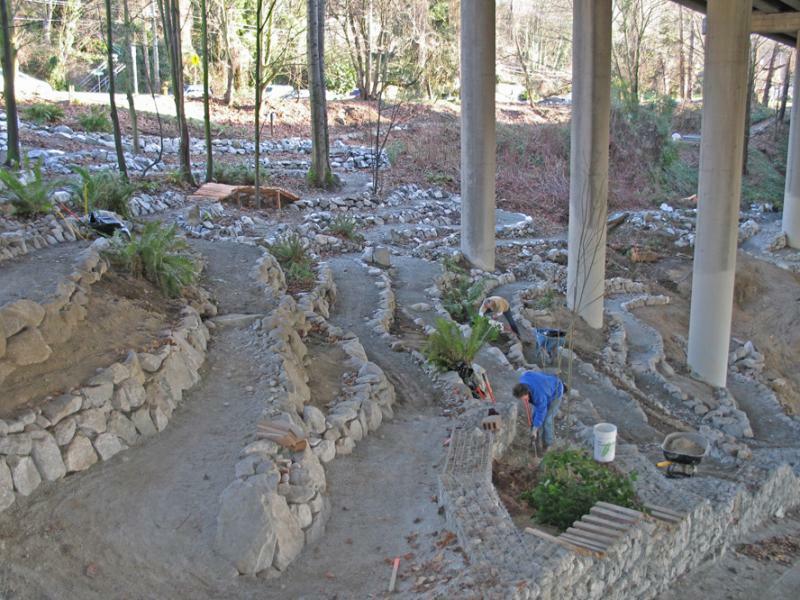 The transformation began in 2000, when Seattle’s Parks and Recreation department dedicated funds towards cleaning up and improving the seven-and-a-half acres beneath the freeway. In response, the Eastlake Neighborhood Council began discussing potential strategies for further repurposing the space. 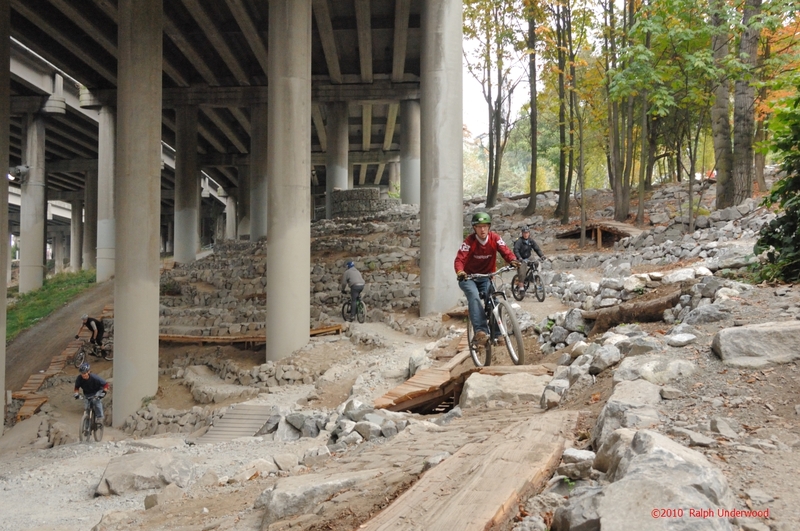 One proposal by Simon Lawton, local resident and owner of the Fluidride bike shops, suggested the creation of a mountain bike park in the space. The idea gained traction with the community-based Eastlake Neighborhood Council, a nonprofit group called Urban Parks, as well as the Seattle parks department. 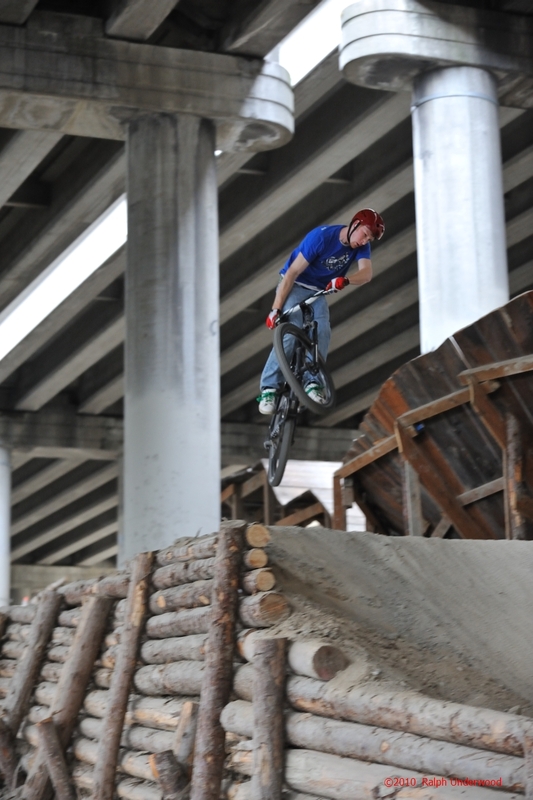 Along with approval for the Colonnade Freeride Park, the city also launched plans for an off-leash dog park and a stairway reconnecting the neighborhoods that flank the freeway. 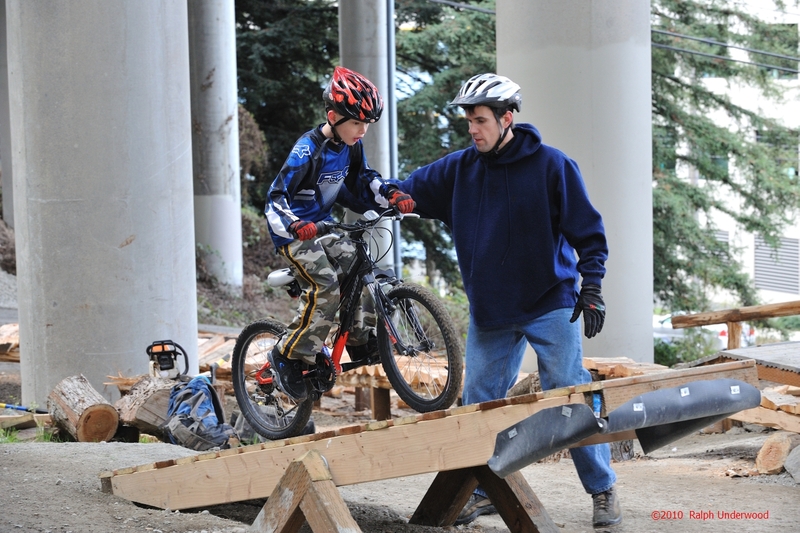 The mountain biking park was executed by the Evergreen Mountain Bike Alliance, with the help of many volunteers, who received funds from the Seattle Parks Department, a series of grants, along with corporate sponsorships from companies such as Starbucks and Clif Bar. The park opened in 2005 and has since become a popular destination for mountain bikers of all levels, as well as a point of pride for the surrounding communities.